A drugstore chain, Rite Aid Corporation have their headquarter at the township of East Pennsboro in Pennsylvania, near Camp Hill. They started their operation as a single store in 1962, in the region of Scranton, Pennsylvania. Alex Grass established Chain of the company and the first store was named Thrif D Discount Center. By 1965, they were able to expand their network to a few states in the northeast. In 1968, they expanded their business and even adopted the present name. They even transformed their business into a public company. In 1990, they entered into a partnership with Ellicott Development Company of Carl Paladino and expanded their reach to New York. There are currently 4 consumer reviews about Rite Aid Corporation available. Share your review. For sometime now I have observed in various stores within our county, employees doing janitor work in the evenings. It certainly doesn't speak well for your company, and is very telling in how you don't have regard for your employees. I thought you were better than what I have observed, I not only won't go to your stores anymore, I won't suggest anyone apply with you. You have fallen to the bottom of the totem pole, you don't deserve to make it a success. Janitor work is there for a reason, they are trained in safety and hazard work. Hope you pay attention Mrs. Halterman Portland,Or. It doesn't look very good when you want to read about a corporation and you get an add for Annuities and another for Pension plan. I expected to see the names of top officers. Charts on their stock and much more history.. The Rite Aid at Presque Isle I'd have to rate as the worst because the pharmacy has hired a pharmacist who disobeys doctor's orders to the point of medical malpractice...this is the 4th time today that the pharmacist has disobeyed Dr. Bohadi expressly-my prescription dosage of insulin has been increased, but the pharmacist REFUSED to fill it! The amount has been INCREASED so there is not a problem with insurance; but this pharmacist in Presque Isle has a problem with Bohadi's credentials (Bohadi being from Mumbai, India)! THIS IS OLD STUFF. I've had my caregiver and cousin make a total of 3 trips to that pharmacy at 320 Main St. Presque Isle, Me.and this does not take into account the total number of calls placed from doctor's office and the caregiver! We had not had problems with the previous pharmacy staff who have maintained civilty; the lady pharmacist may have been overorked, but as far as insults as to why we live here in Maine with "funny names" we did not have to deal with such...Perhaps, it would be better to hire a pharmacist who can deal with the 21st century and just stick to filling legitimate prescriptions. When we tried to do a return today with our Rite Aid receipt the store manager in Magalia, CA falsely accused us of stealing, delayed us from leaving, and along with one of his employees, tried to provoke us into some kind of criminal or civil infraction in order to cover his tracks. This store has gotten worse, and Rite Aid corporate has let them get by with murder after several complaints in the past similar to this, when Ron and others there make the same accusations against customers who also have their receipt! This is why big corporations get sued and suffer huge losses and bad publicity. Some Rite Aid staff we spoke to by phone were apologetic and helpful, but others, especially higher ups, were poor listeners in denial about the severity of this problem at this messed up store and idiotic manager! If they get their act together like a district manager promised or implied this evening as this matter continued all day we will write a favorable review stating it was resolved, but not until then. The arrogance of big companies these days has become totally unacceptable, and when customers get mad and tell them they are full of krap, they need to be honest and look at how they operate and some of the idiots they have running their stores! Please take a note that you are about to post a public review about Rite Aid Corporation corporate office on CorporateOffice.com. This review will be public, so please do not post any of your personal information on this website. 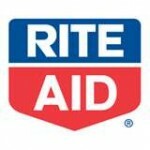 If you would like to contact the corporate offices of Rite Aid Corporation, please use their contact information such as their phone number, website, and address listed above to contact them. However, sometimes staff from Rite Aid Corporation headquarters do read the reviews on this website.